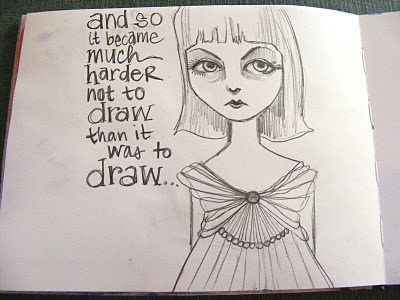 ...A few more drawings done at the end of 2009. 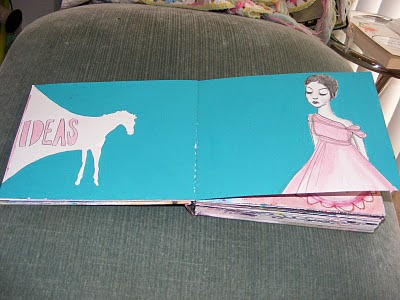 I'm almost finished showing you the end-of-2009 sketches and can move on to stuff from this year soon! I've been searching for an old camera to take TtV (Through the Viewfinder - google it!) photos, but to no avail... I keep getting outbid on eBay (I guess I'm cheap.) and went antiquing today but didn't even find anything close. How come when I wasn't looking for vintage cameras, I used to see them all the time? So funny... I'm not giving up the hunt, though, it just makes me more determined. I want an old camera too :) Maybe a vintage Diana. That's Murphy's Law in effect; of course now that you want one, they're scarce! 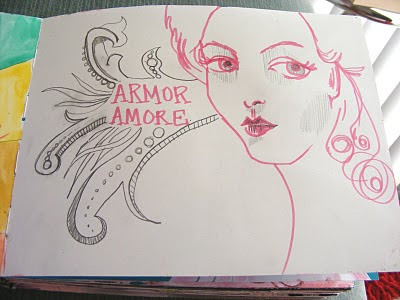 I love love love love the "Amore Amore" drawing....beautiful!